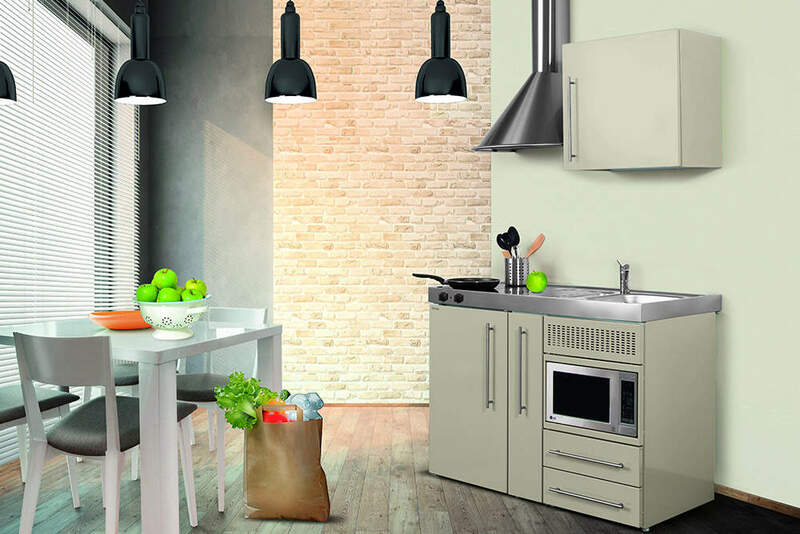 Our catalogue includes metal, stainless steel and wood kitchens in widths of 90 - 270cm. They are equipped with refrigerators by LIEBHERR, microwave ovens by LG and a variety of other electrical appliances. No home or company can function without a well-equipped kitchen. The available space does not always provide enough room for a big or very wide kitchen suite, though. Especially in serviced and holiday apartments, hotels and small flats, the kitchen facilities must be well thought through to allow enough space for the latest kitchen technology as well as large enough worktops. In contrast to a conventional fitted kitchen, a mini kitchen can solve many space issues creatively. Our catalogue includes metal, stainless steel and wood kitchens at a top price-performance ratio. 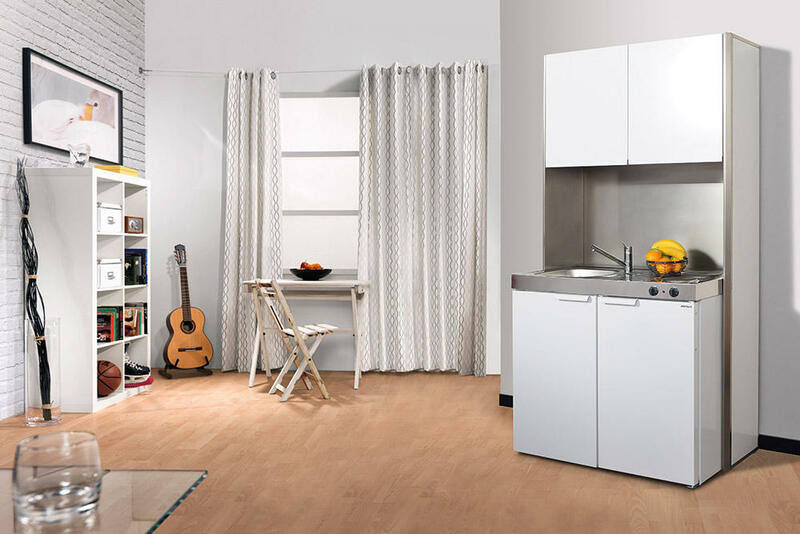 The kitchens are in widths of 90 – 270 cm and can be ordered in the variants and trend colours individually. The kitchen equipment includes refrigerators by LIEBHERR, microwave ovens by LG and a variety of other high-quality electrical appliances. All metal and stainless steel kitchens are delivered fully assembled and ready-to-use. All the kitchenettes presented on our website come with a variety of modern options. We have a wide range of well-known brands and kitchen accessories. They are carefully planned and built by our professional kitchen experts following in-depth discussion with the customer. Mini kitchens are ideal space savers for office meeting points or student and single-person accommodation. Our mini kitchens are high quality and are made in according to our customers’ requirements and deliver ready-to-use. Have a look at our new kitchens in our online shop for mini kitchens, our current mini kitchen catalog or visit us directly at our mini kitchen exhibition in Romanshorn.